Pronunciation — the stumbling block of all English language learners. On the one hand, sometimes linguists say that we should not worry about your pronunciation. Therefore, many continue to say joyfully explosive / r /, in Russian / cancer /, / t / instead of / θ / in the path, and / v / instead of / w / in the winter. On the other hand, listening to audiobooks, voiced by Stephen Fry (as I’m sure you’re listening to an audiobook! ), Unwittingly want to learn to speak with his tone and manner of pronouncing words. But English speakers also did not immediately work out such articulation and diction. Their childhood, like us, were forced to repeatedly recite rhymes and tongue twisters in English to develop articulation muscles. In most cases, no one takes the patter, it makes no sense. More precisely, in the set of words tongue twisters is not much point. These words are assembled to train certain groups of sounds that are very similar in sound, but still different. For example, / pɪ /, / pe / / paɪ /. So do not be surprised by the strange meaning of the sentence, in our «went through the Greek river» is also not a lot of sense. Interestingly, some English tongue twisters have a history of origin. So, Peter Piper was a real person (real name Pierre Poivre, in French — «Pepper»). He is involved in agriculture in France. In the past, the spices that have been known as «pepper» (peppers), were very expensive. While the Dutch were almost a monopoly on the spice market, they imported the cloves (cloves) and nutmeg (nutmeg) in Europe. Peter decided to grow their own spices and deliver them to Europe. But this was very difficult, as cunning Dutchmen often pickled (pickled) seeds (seeds) by using lime spices. Lime juice affected the seeds spices, seeds could not germinate, and people could not cultivate these plants in their country. Thus the Dutch monopolized the market by eliminating competitors and keep supply low and demand high. Clever! Another very famous tongue-twister in English. Here the emphasis is on the refinement of the sounds / ʃ / and / s /. Like the sound of light, but when they stand side by side, there is a small disaster! This tongue-twister is based on the life of a real person — an Englishwoman Mary Anning (1799-1847). When Mary was a little girl, she, along with her ​​father to dig seashells (shells) and small fossils (fossils) on the beach in his native town. Once, at the age of 12 years, Mary has found the remains of the skeleton of an animal. At first she thought it was a crocodile, but it turned out that it was a dinosaur! In her life, she has done a lot of amazing discoveries and became the founder of modern paleontology. In 2010, the Royal Society included Anning in the list of women who have made a significant contribution to science. Also offers you a small list of other rather popular English tongue twisters. By the way, you can also record your pronunciation and then compare much does it differ from the original. Want to know patter which became the record Guinness Book of Records? There she is! Nothing complicated? Try to say it 3 times faster! The sixth sick sheikh’s sixth sheep’s sick. — The sixth sick sheik sixth sheep sick (and so in Russian difficult to pronounce!). Also offers an interesting selection of teacher engvid.com Alex. Here you will find the familiar Peter Piper and She sells seashells, but in a slightly truncated form. However, the instructor Alex American pronunciation. It is interesting to compare both versions! Do not be lazy, repeat after Alex! If you think that the English tongue twisters very difficult to say, I advise you to watch a video about what fans have to face Chinese. That’s really where the language can be broken! You will see part of a poem written in classical Chinese, the famous linguist Yuen Ren Chao. All 92 syllables are read as «shi» in one of four colors. And educated Chinese who read the poem, understand that we are talking about a man named Shi, who ate lions. 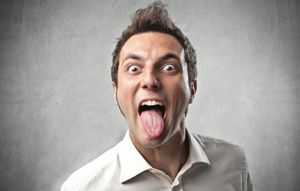 Do not forget to download the 50 hardest English tongue twisters! Winter evenings will now what to do! Practice, practice, practice — you do not notice how complex sounds of English start clicking like peanuts!